These are their first products to be awarded RYF certification. The Vikings D16 Mainboard is the first server or workstation mainboard certified by the FSF. The Vikings D16 Mainboard is an ASUS KGPE-D16 with the boot firmware replaced with free software. It can be purchased from Vikings GmbH at https://store.vikings.net/libre-friendly-hardware/d16-ryf-certfied. The Vikings X200 libre-friendly laptop is a refurbished laptop that comes with a free bios pre-installed, and at the user's option, Trisquel GNU/Linux, a fully free operating system endorsed by the FSF. It can be purchased from Vikings GmbH at https://store.vikings.net/libre-friendly-hardware/x200-ryf-certfied. Vikings USB Stereo Sound Adapter is a peripheral sound card that requires no proprietary software or binary blobs to operate, and can be purchased from Vikings GmbH at https://store.vikings.net/libre-friendly-accessories/usb-sound-adapter-ryf-certified. 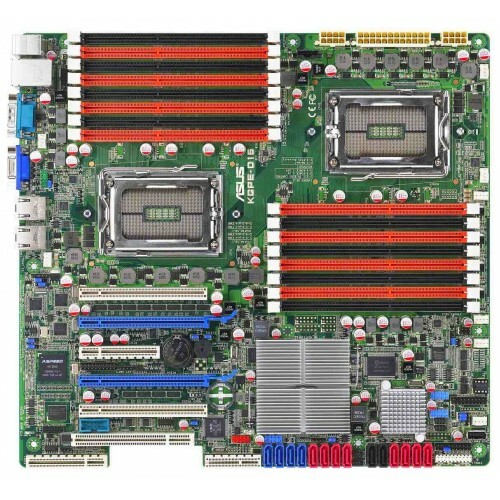 "The certification of the Vikings D16 Mainboard is particularly exciting. The FSF has been successfully using the same model of board for our servers, and we're glad to now officially certify it—the first piece of RYF hardware suitable for the data center," said the FSF's executive director, John Sullivan. Certifying the mainboard along with the Vikings X200 libre-friendly laptop and Vikings USB Stereo Sound Adapter gives Vikings GmbH a healthy selection of RYF devices for sale. "Vikings joins other great companies offering multiple RYF-certified devices, and has plans in the works for future RYF-worthy items. We look forward to working with them to certify even more hardware that comes with only freedom inside," said the FSF's licensing & compliance manager, Donald Robertson, III. To learn more about the Respects Your Freedom hardware certification program, including details on the certification of all these devices, please visit https://fsf.org/ryf. The Free Software Foundation, founded in 1985, is dedicated to promoting computer users' right to use, study, copy, modify, and redistribute computer programs. The FSF promotes the development and use of free (as in freedom) software—particularly the GNU operating system and its GNU/Linux variants—and free documentation for free software. The FSF also helps to spread awareness of the ethical and political issues of freedom in the use of software, and its Web sites, located at and , are an important source of information about GNU/Linux. Donations to support the FSF's work can be made at https://donate.fsf.org. Its headquarters are in Boston, MA, USA. Vikings GmbH is a company based in Germany and operates world-wide. It was started by Thomas Umbach, founder and CEO. Vikings is the world's first professional hosting company with a fully libre hosting platform stack. Our services are based 100% on libre boot firmware, 100% libre software and are powered by 100% certified green energy. Vikings is your one stop source for libre hosting services as well as libre servers and workstations. Image by Vikings GmbH is licensed under a Creative Commons Attribution 4.0 International License, CC BY.